This is the pre-trip newsletter for men and women of all ages from around the world joining our 2016 expeditions and walks. How has 2016 been for you so far? I hope you have been preparing for the mountains, staying fit, walking and climbing in your local hills, not working too hard and relaxing with family, friends and colleagues. NOW IS THE TIME TO JOIN OUR 2016 TRIPS if you have not already. 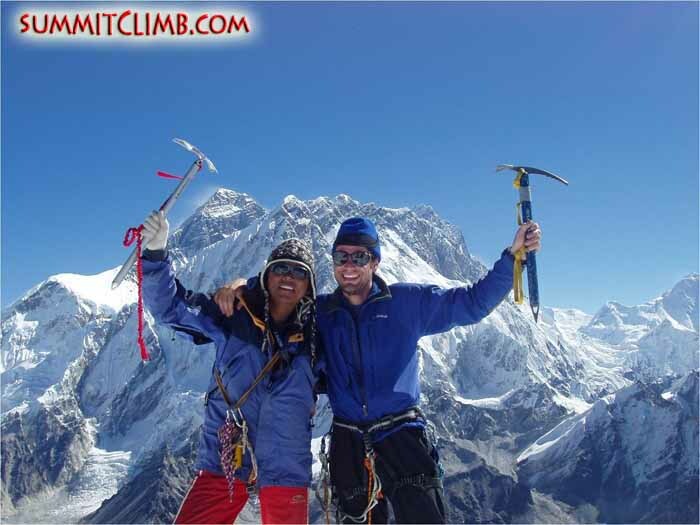 We have just completed two successful www.AconcaguaSummitClimb.com climbs and now we are excited to be heading back to Nepal and Tibet for our Spring expeditions. 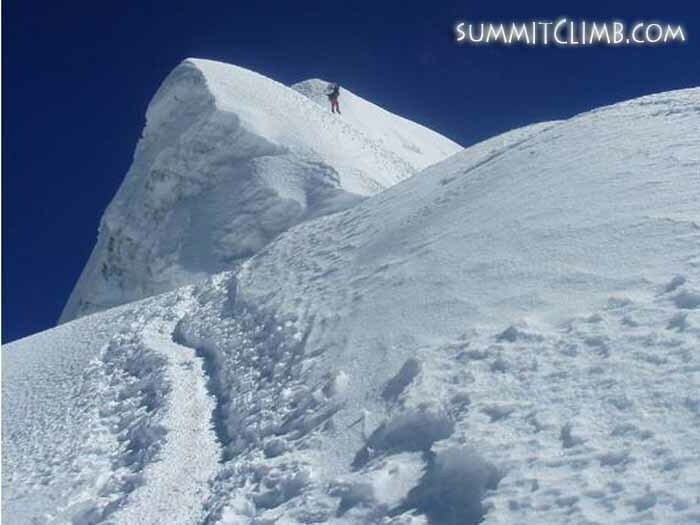 Please follow our progress at: www.SummitClimbNews.com .For more news please visit www.SummitClimbNews.com and www.SummitTrekNews.com . Now we are looking forward to our Spring expeditions, a few places are still available. Welcome to the team! 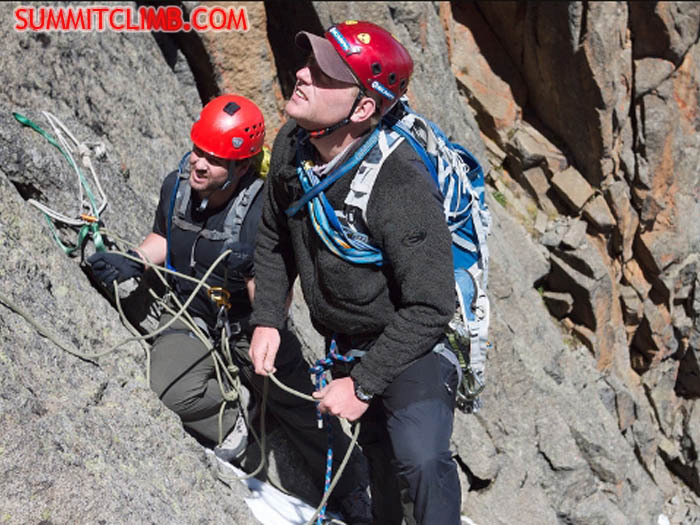 Please read down to learn more about all of our 2016 climbs, walks, and trekking peaks. 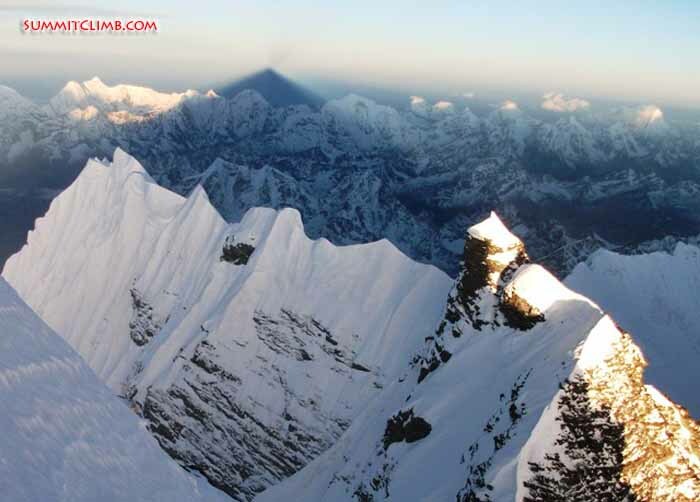 Spaces are still available, so we hope you'll join us during this peaceful and sunny time to visit the Himalaya. We encourage you to take advantage and book one of the presently inexpensive flights which are still being offered. Please let us know if you need any help finding flights. 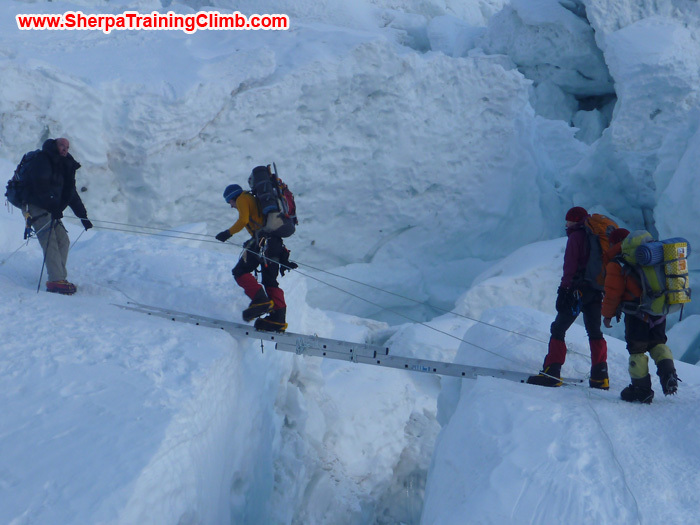 EVEREST TRAINING CLIMB CAMP 3 NEPAL.Test yourself at altitude with patient instruction by 9 time Everest leader Dan Mazur. April or May. 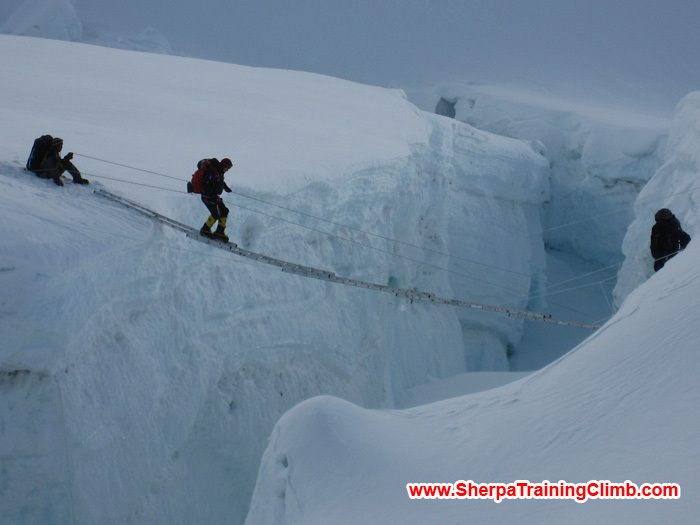 Learn all of the skills you need to climb Everest during the 31 day (or streamlined 16 day option) www.EverestNepalTrainingClimb.com We trek into base, learn many glacier rope skills while acclimatizing slowly and cautiously through the Khumbu icefall and Western Cwm, then carefully move our way up the mountain all the way to camp 3 at 7300 metres / 23,000 feet. We offer two climbs, one beginning on 7 April and another on 21 April. Choose our fixed dates or New Flexible Date Option: arrive anytime at your convenience during April and May. Full Service Cost: $8,650, £5,750, €8,150. Sixteen day option : $6,350, £4,250, €6,050. 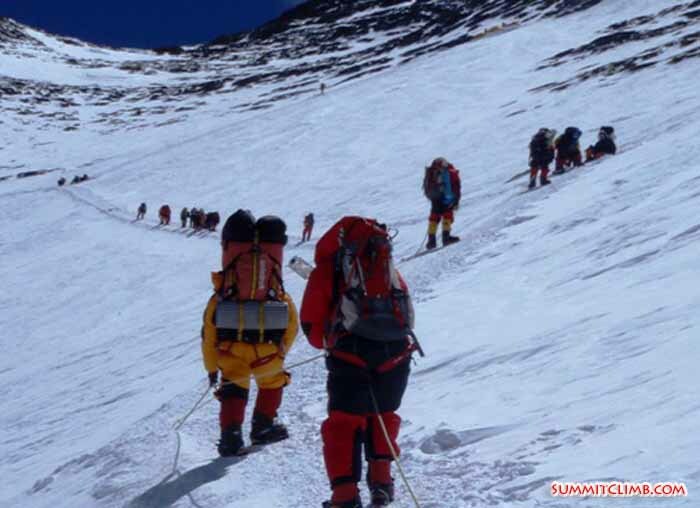 Many members will choose to go back home at this point, but some will choose to continue to the summit and if you are feeling well, take the option to join the www.EverestNepalClimb.com PRICE INCLUDES EVERYTHING FOR THE CLIMB AND THE WALK TO BASECAMP: EXPERIENCED BRITISH, AMERICAN, AND EUROPEAN LEADERS, HELPFUL EXPERT SHERPAS, FREE HOTELS, AND FREE INTERNAL FLIGHTS. 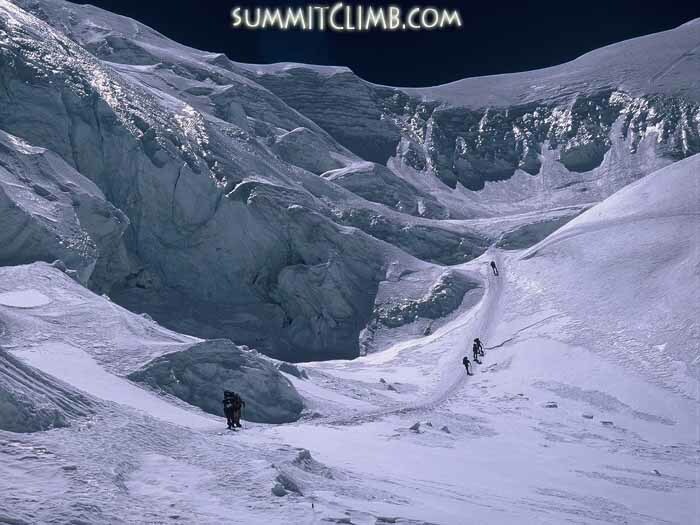 EVEREST TIBET TRAINING CLIMB NORTH-COL: World's easiest 7000 metre/ 23,000 foot high peak located on the shoulder of Everest. April or May. 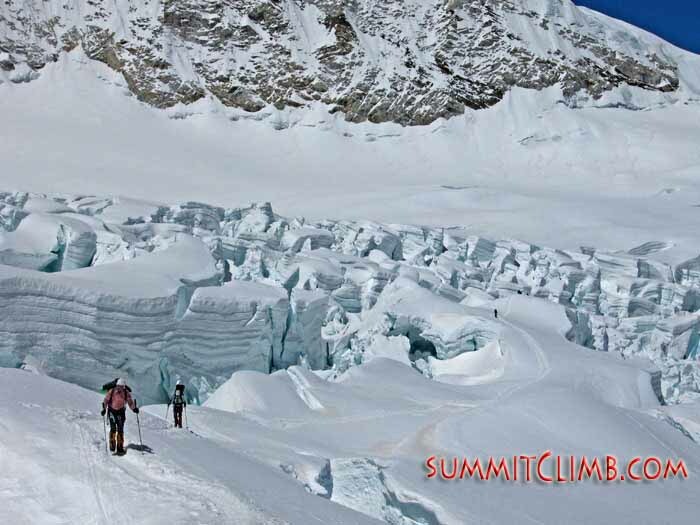 Learn everything you need to know to climb Everest in 28 days. Located in exotic Tibet. A great way to see how you feel at altitude in a short amount of time. David Obrien is a very experienced and friendly leader who teaches you everything you need to know. 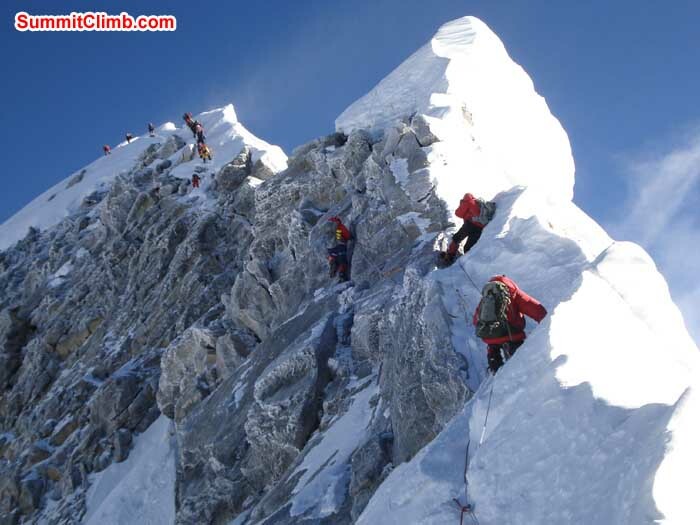 If you feel well on the April trip, you can transition to Everest or Cho Oyu. We offer two climbs, one beginning on 7 April and another on 21 April. Choose our fixed dates or New Flexible Date Option: arrive anytime at your convenience during April and May. Full Service Cost: $7,950, £5,250, €7,450. 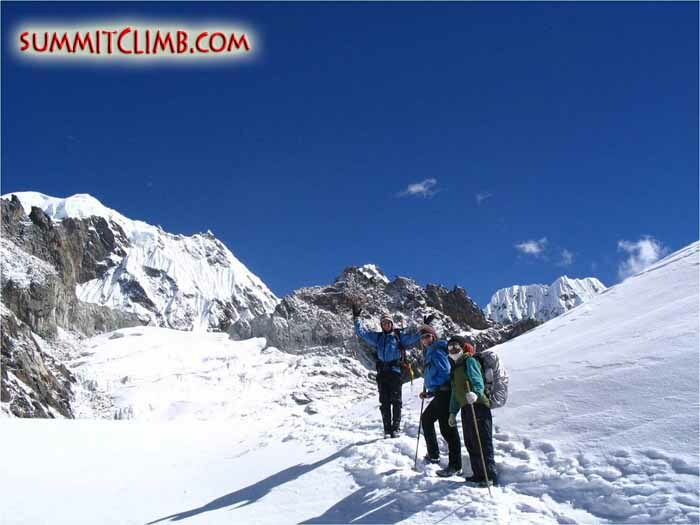 www.EverestTrainingClimbTibet.com PRICE INCLUDES EVERYTHING FOR THE CLIMB AND THE WALK TO BASECAMP: EXPERIENCED BRITISH, AMERICAN, AND EUROPEAN LEADERS, HELPFUL EXPERT SHERPAS AND FREE HOTELS. 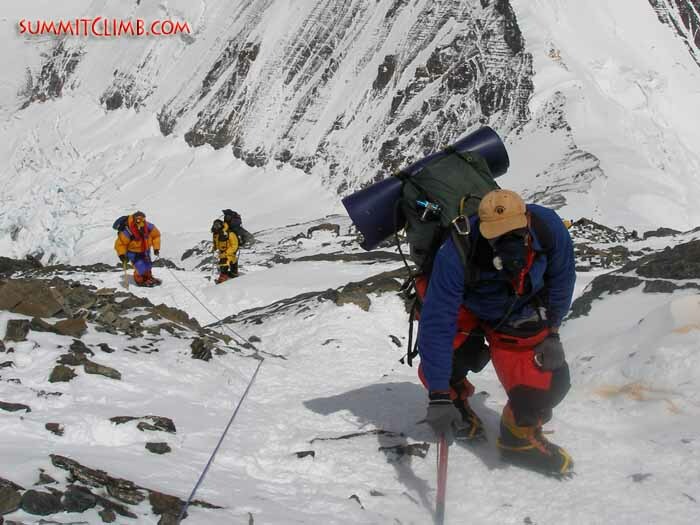 MOUNT CHO OYU EXPEDITION. Easiest "8,000 metre", 26,000 foot high peak. Best preparation for Everest. www.ExpeditionChoOyu.com April-May, and August-September. 38 days. 'Easy' snow climb. 6th highest mountain in the world. Leaders Angel Armesto and Dan Mazur are extremely experienced, friendly, and teach you everything you need to know. 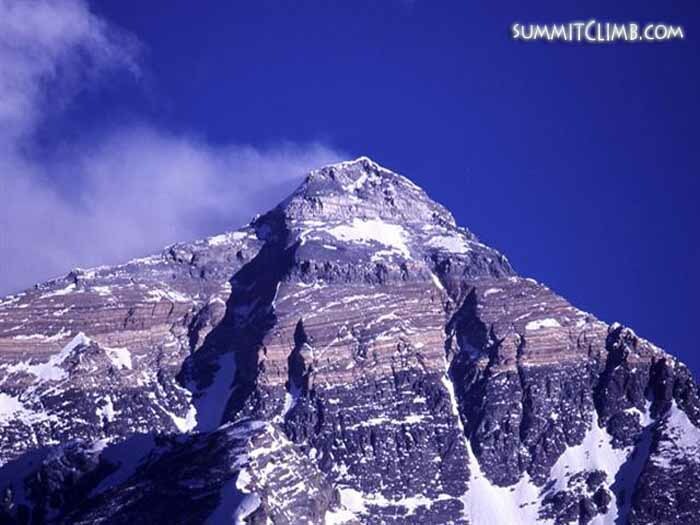 Located beside Everest on the edge of the exotic Tibetan Plateau. 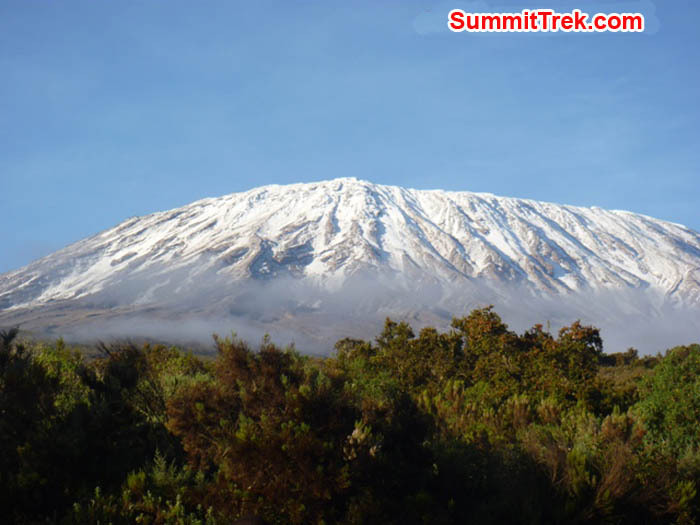 Our teams reached the summit safely in 2010, 2011, 2012, 2013 and 2014. Choose our fixed dates or New Flexible Date Option: arrive anytime at your convenience during April and May or September and October. Full Service Cost: $12,850, £8,550, €12,150; Basic Climb Cost: $6,650, £4,450, €6,250. Please see www.ChoOyuNews.com . 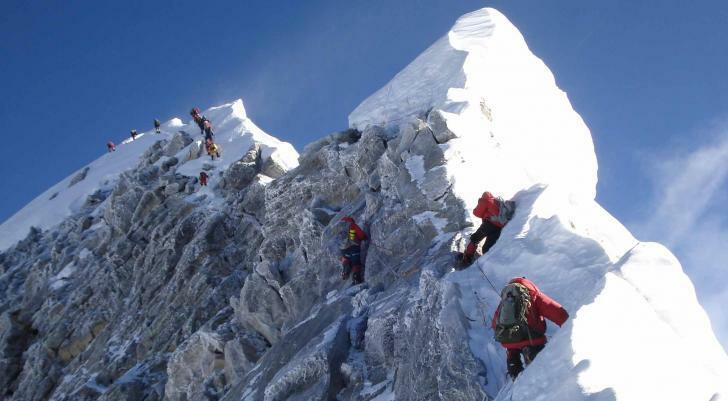 PRICE INCLUDES EVERYTHING FOR THE CLIMB AND THE WALK TO BASECAMP: EXPERIENCED BRITISH, AMERICAN, AND EUROPEAN LEADERS, HELPFUL EXPERT SHERPAS AND FREE HOTELS. 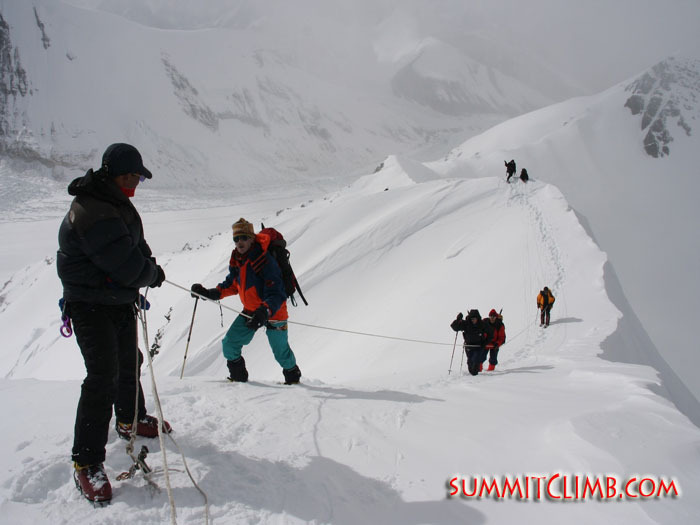 MOUNT LHOTSE EXPEDITION: High Nepal summit for low cost, same route as Everest. www.LhotseExpedition.com April-May, 60 days. World's 4th highest peak. 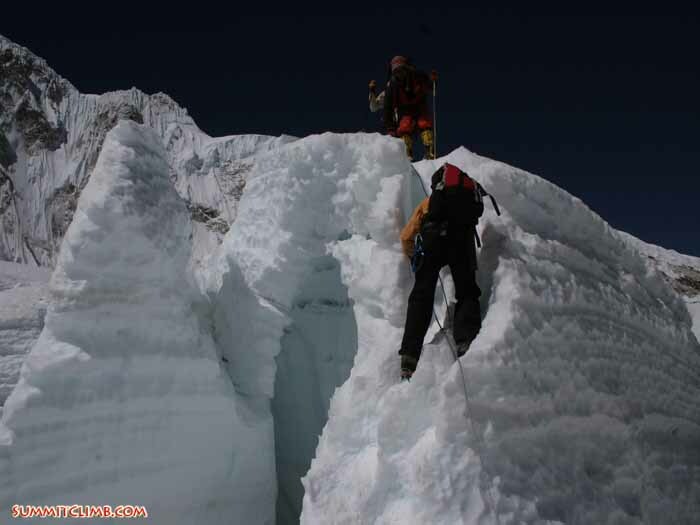 Climb Everest route; branch off before high camp; ascend Lhotse Couloir. You: able to ascend-descend 50 degree snow/ice. 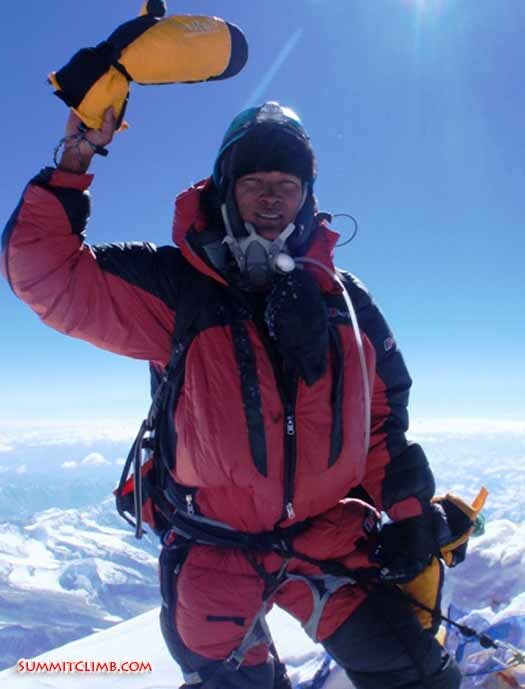 Leader Dan Mazur: friendly experienced 9 time Everest and 4 time Lhotse climber. 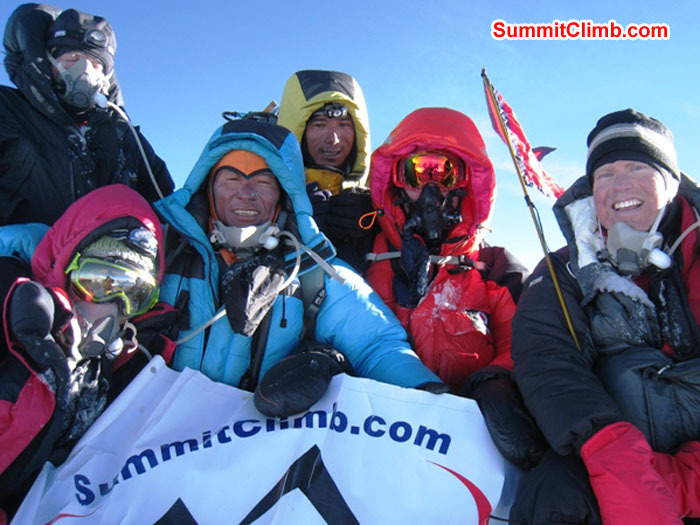 100% of our team reached the summit with Dan on our last expedition. Choose our fixed dates or New Flexible Date Option: arrive anytime at your convenience during April and May. Full Service Cost: $14,850, £9,850, €14,050; Basic Climb: $4,950, £3,350, €4,650 . 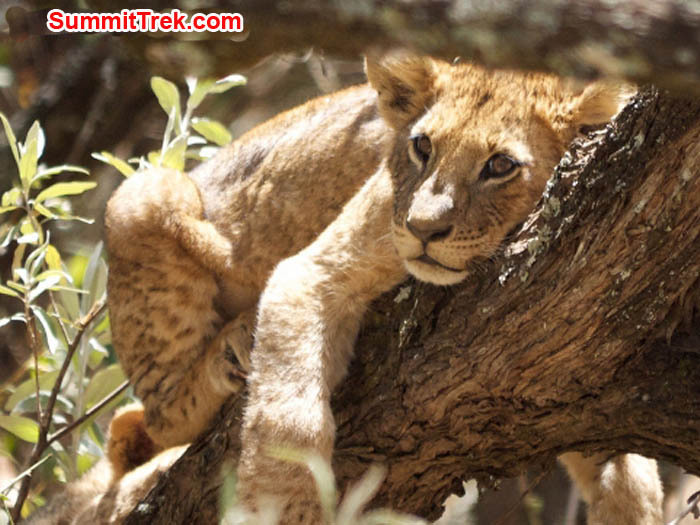 PRICE INCLUDES EVERYTHING FOR THE CLIMB AND THE WALK TO BASECAMP: EXPERIENCED BRITISH, AMERICAN, AND EUROPEAN LEADER, HELPFUL EXPERT SHERPAS, FREE OXYGEN, FREE HOTELS AND FREE INTERNAL FLIGHTS. 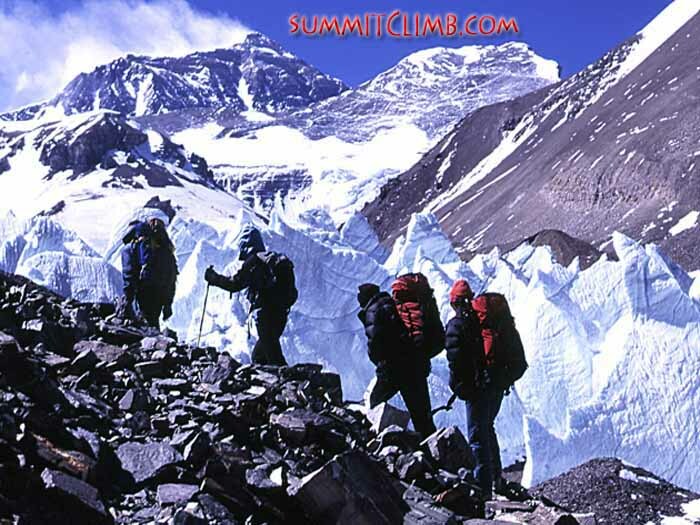 EVEREST BASECAMP WALK NEPAL: Walk together with 9 time Everest summit leader Dan Mazur in the footsteps of Sir Edmund Hillary and Sherpa Tenzing, to the world's most famous basecamp. 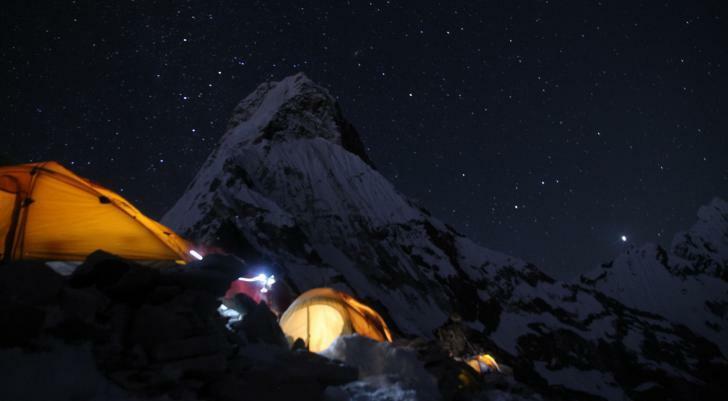 www.EverestBasecampWalk.com 18 days in April, May, October or November. on wide snow-free trails through green terraced villages perched beside rapidly flowing rivers beneath the towering snowy giants of the Himalaya. 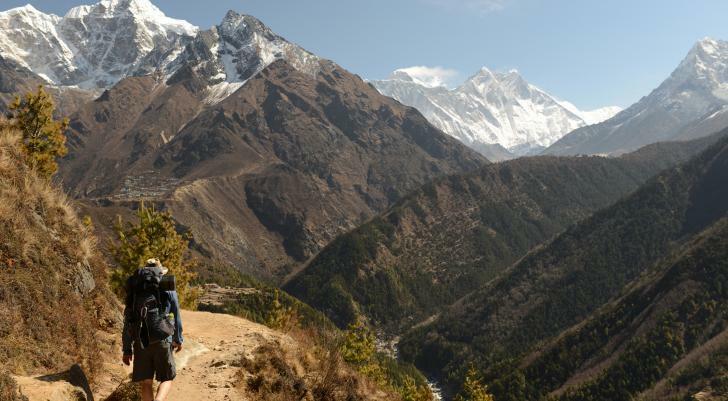 Walk the scenic ridge of Kala Pattar with stunning views of Everest. Visit projects conducted by the Mount Everest Foundation for Sustainable Development, including the rebuilding of Nepal's oldest convent in Deboche, and the Everest basecamp biogas project in GorakShep. 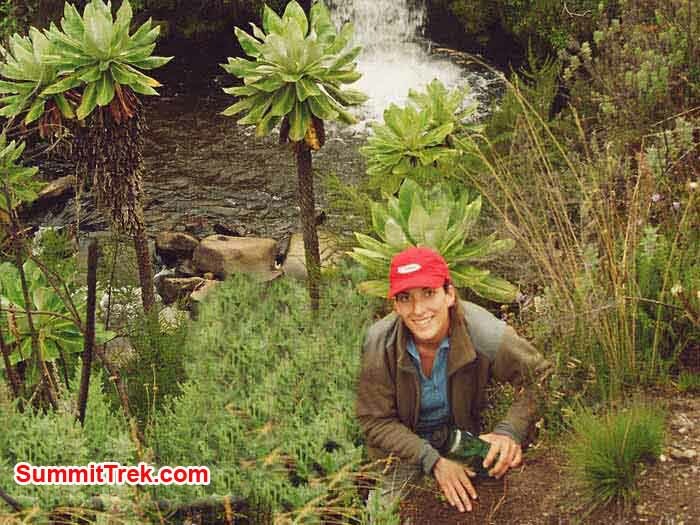 Leader Dan Mazur is a friendly and helpful trekking guide who knows every part of the trail . Your Sherpas Mingma and Yangjie are highly educated, were raised in this valley, have been to the Hillary School and attended university in Kathmandu. Their English is superb, they are friendly and gracious hosts, and as you walk together each day, they will explain every detail of the trek and answer all of your questions. REDUCED PRICE! - Cost: $1850, £1,200, €1,750 PRICE INCLUDES EVERYTHING FOR THE WALK TO BASECAMP: EXPERIENCED BRITISH, AMERICAN, AND EUROPEAN LEADERS, HELPFUL EXPERT SHERPAS, FREE HOTELS, AND FREE INTERNAL FLIGHTS. Please go to: www.BaseCampNews.com . Choose our fixed dates or New Flexible Date Option: arrive anytime at your convenience during April, May, October or November. EVEREST TIBET ADVANCED BASECAMP WALK: Less crowded Tibet. High altitude trek with the best views of Everest , much better than Nepal. 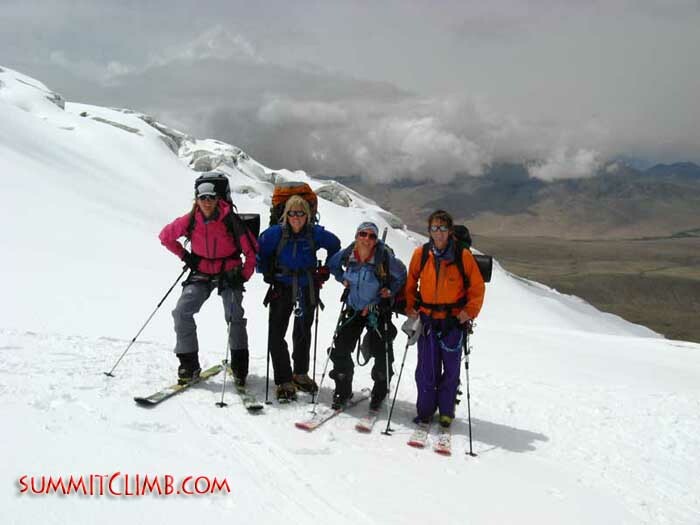 www.AdvancedBasecampWalk.com 20 days in April and May - Full Service Cost: $3,850, £2,550, €3,650 PRICE INCLUDES EVERYTHING FOR THE WALK TO BASECAMP: EXPERIENCED BRITISH, AMERICAN, AND EUROPEAN LEADERS, HELPFUL EXPERT SHERPAS, AND FREE HOTELS. Please join leader David Obrien for a good chance to see exotic Tibet. View the latest news at: www.AdvancedBaseCampNews.com . Made famous in 1924 by Mallory and Irvine. Choose our fixed dates or New Flexible Date Option: arrive anytime at your convenience during April or May. 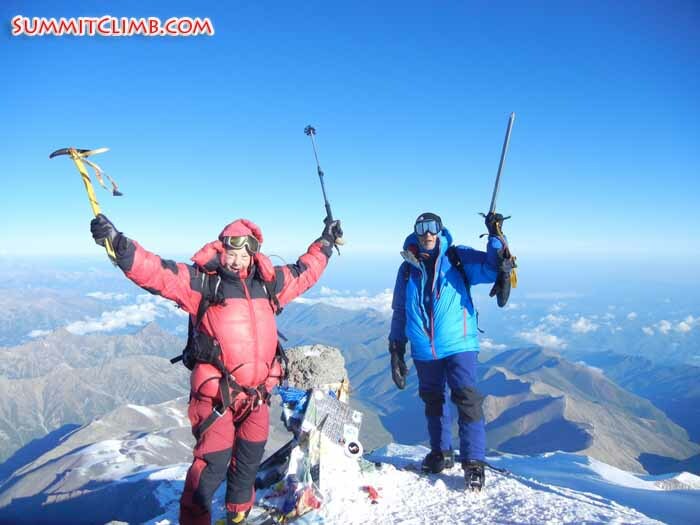 MOUNT ELBRUS is the highest and easiest snow peak in Europe (18,600 feet) and one of the "7-Summits". See how you feel at high altitude in a short time at an affordable price. A very easy beginner snow walk. Stay in huts, ride ski lifts and snow cats and enjoy a short summit day. 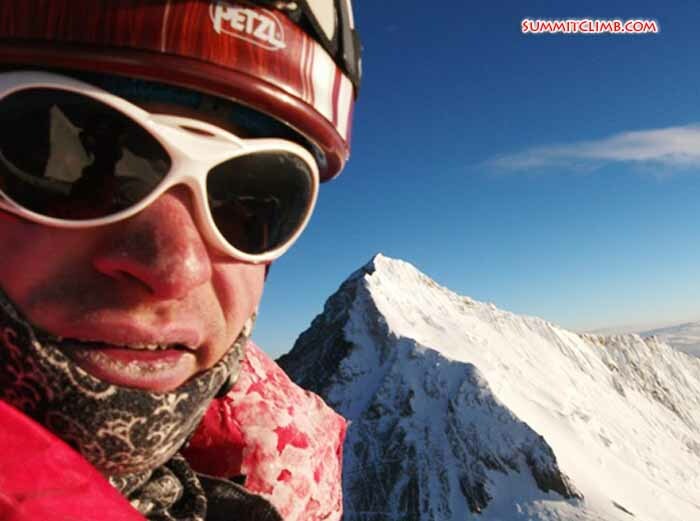 Friendly leader Julian Bierman is a qualified mountain guide. Equipment and clothing available for hire/rent. Please note that these prices and dates are for joining us in Kashgar. You can join 2 days earlier in Bishkek if you wish but the cost is $400 extra for transport and hotels. YOUR NEPAL VISA IS BEST PURCHASED WHEN YOU ARRIVE AT THE KATHMANDU AIRPORT: When you arrive in Kathmandu airport, you will fill out the arrival and visa forms available on the tables, and then the immigration officials will stamp your Nepal visa into your passport at the immigration counter. You will provide your passport sized photo and pay cash (dollars, pounds, or euros) for the visa at that time. In 2015, the cost of a 30 day visa was $50 and a 90 day visa was $100 USD. If you forgot your photo, you have one taken there, for 300 rupees (but you will have to stand in another queue and change your money into rupees first. If you are staying in Nepal, get a single entry visa for the total number of days you will be in Nepal. If you are going to Tibet, please obtain a double entry Nepal visa for the total of number of days of your trip, including the time you will be gone in Tibet also (ie: if you will be in Tibet for 30 days, and in Nepal for 3 days at the beginning and 3 days at the end, you would obtain a 90 day double entry Nepal visa). Please Note: your Tibet visa will be obtained at the Chinese embassy in Kathmandu at a cost of $145 - $250, depending upon what country you are from. Your passport must be valid for at least 6 months from the END of the expedition and contain at least 2 blank pages. 1) Purchase your flight ticket now. Flights are still available. Return flights from UK-Kathmandu-UK are around 475 pounds. Return flights from USA-Kathmandu-USA are around $1100. Please let us know if you need assistance in booking your ticket. We are here to help. NEPAL BANK ATM MACHINES: There are good bank, cash, atm machines, especially in KTM. However, these cash machines will only distribute Nepali rupees, so you must bring foreign currencies, $, £, €, from home. Travellers’ cheques are inconvenient. They can only be handled by large banks and may only be claimed into Nepali rupees. You can’t use them to buy things, pay for hotels, restaurants, nor for tips/gratuities. Be sure to bring extra cash to Tibet and Nepal basecamps for tipping the sherpas and staff as many of them will not be returning to KTM. $, £, €, work well in Kathmandu. 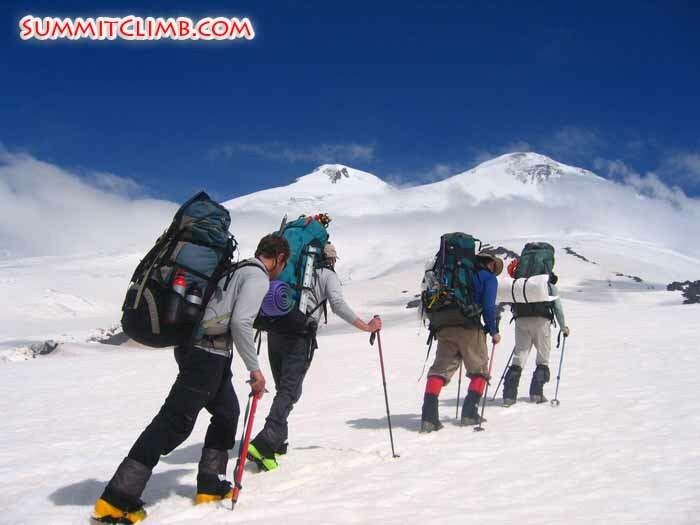 For Nepal walks and climbs, you will change money into rupees after arriving in Kathmandu. For Tibet walks and climbs, you will change money into Chinese Yuan in Zhangmu, Tibet, after crossing the Friendship Bridge during lunch. 5) Helicopter rescue, repatriation and travel insurance are required and cancellation insurance is recommended. 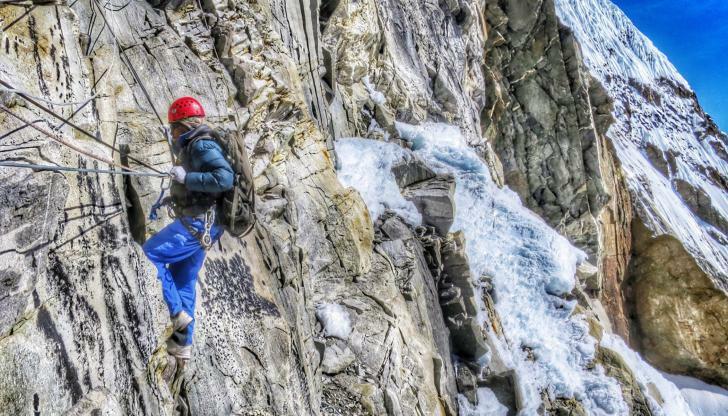 Do you have your proof of travel and mountain rescue insurances? Remember, you need to be covered for all mishaps, including both in town, en-route, and during climbing and/or walking. We are glad to advise you about different types of insurance and where to find them. Nowadays good insurance is available for any person from every country in the world. If you have sent the above, thank you very much. 9) KTM HOTEL. Your trip includes 2 free Kathmandu hotel nights at the beginning and two free Kathmandu hotel nights at the end of the trip. You will be sharing. If you want your own single room, the cost is an additional $32 per night (during the included four free hotel nights) and for extra nights $65 per person for single occupancy. Please bring extra cash to pay for your extra nights and / or your single supplement. We often stay at the comfortable three star Hotel Shakti. It’s an excellent and classic hotel surrounded by green gardens and located in the heart of the city action near many delicious restaurants, the city's best mountain equipment shopping, and abundant nightlife all within a few minutes walk. The Shakti also offers lots of entertaining day trip (and night outing) options such as city tours, walking tours, rock climbing, mountain biking, wild game safaris, horse back riding, art classes, volunteer opportunities at orphanages, hospitals, schools, women's centres, bird watching, cooking classes, sport fishing, day peak climbing, herbal medicine seminars, day hikes, pottery classes, car tours, sightseeing, temple tours, henna hand-painting classes, massage, swimming, beauty salon, motorbiking, yoga retreats, river rafting, painting classes, golf, language courses, kayaking, writing seminars, bungie jumping, religious worship, canyoning, hot tubs, health club, saunas, fitness center, spa treatments, Mount Kailash Treks, night clubs, meditation retreats, gourmet restaurants, cultural dance performances, wine tasting, pedicures and manicures, casino gambling, barber shop, discotheques, airport transfers, Scenic flights around Mount Everest and much much more. Meals in Kathmandu are at your expense. 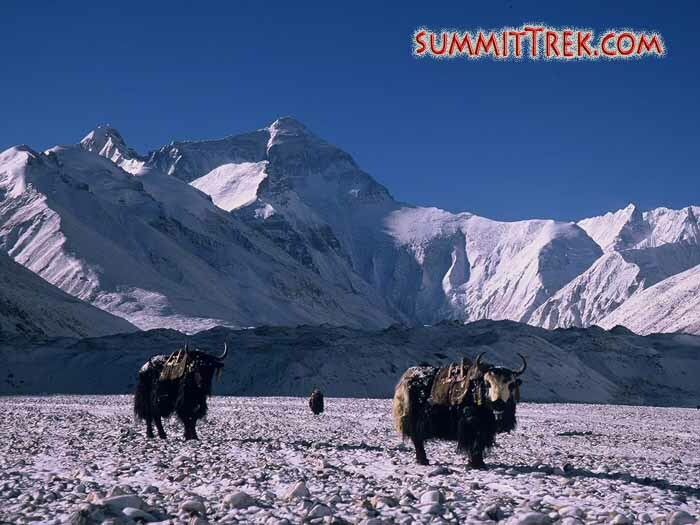 Everest Base Camp Trek Nepal (and optional Island Peak): 7 April or 21 April. Cho Oyu / ShishaPangma 21 April. B. Everest Hardwear shop in Thamel. e-mail angsonam25@yahoo.com , tel , mobile . 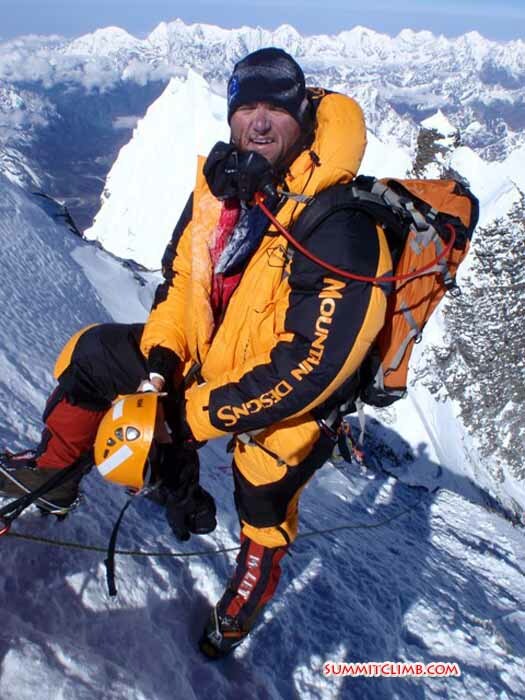 Note: Down suit orders in Kathmandu will require 2 weeks notice due to power cuts. Please contact a manufacturer as soon as possible. 16) Buy your mattress in Nepal. Regarding mattresses, above basecamp, we do not recommend anything you have to inflate. 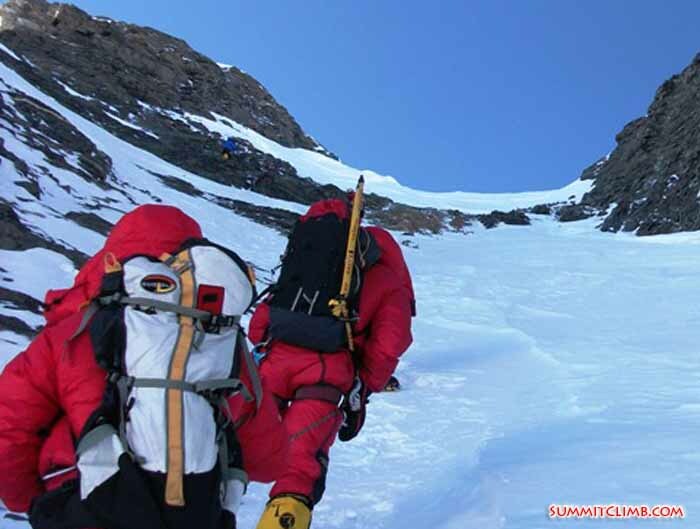 These "therma-rest" are unreliable with all of the sharp ice-axes, crampons, and rocks that we will encounter. I never saw one not puncture when used above basecamp. These are a liability and dangerous. Please don’t depend on an inflatable matt above basecamp. Several traditional closed cell foam non-inflatable karimat mattresses are preferred. I like to bring 3 or 4 mattresses as they are inexpensive and I want to sleep warmly and comfortably at night. These are available very inexpensively in Kathmandu, so there is no need to bring any from home. Why fly around the world with a kit/duffel bag/hold-all filled with foam? Our planned schedule allows plenty of time for equipment shopping in Kathmandu. 18) Food during the expedition - Snack Food: Bring your own snack food. 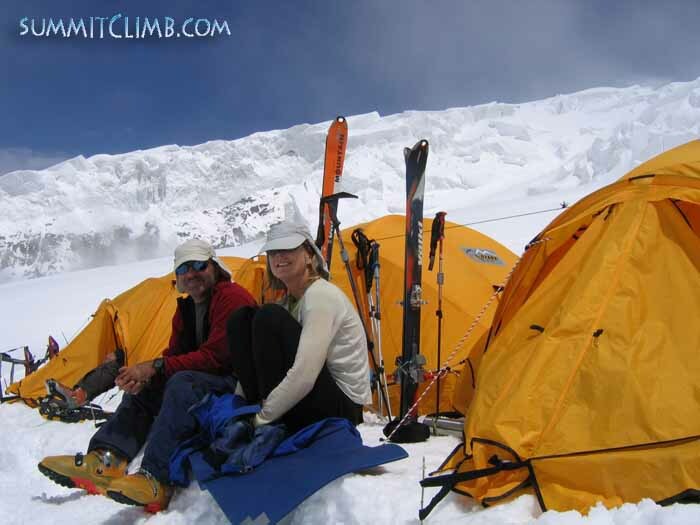 All basecamp and walk meals and high meals (3 per day) are included in our full-service expeditions. We provide more than enough food and cooking fuel for three meals per day on the high mountain. 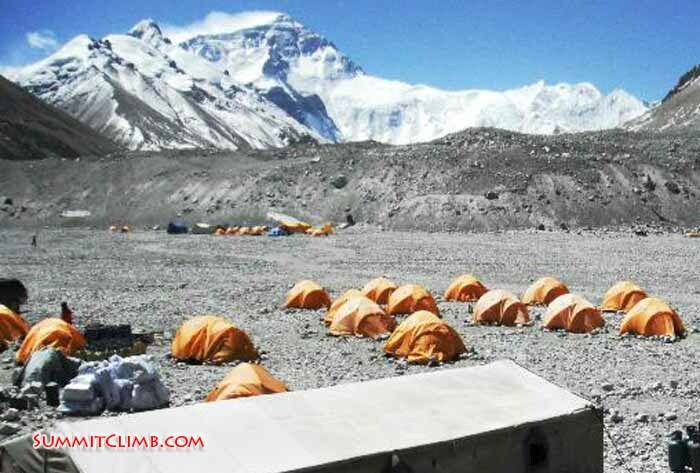 However, we ask each climbing member to provide their own daily-snacks and freeze dried meals at high altitude while climbing above basecamp. We do not provide any daily snack energy food, you need to provide your own. Please remember to bring your daily snack-energy mountain food for each day we are climbing above basecamp on the mountain. This food would consist of chocolate bars, power bars, energy gel, rehydration drinking powder, sweets, nuts, sausage, cheese, etc.. More and more items are available in Kathmandu, but choice may be limited. A wide variety of imported sweeets, snacks, and chocolates were available, with quality brands such as Cadbury, Snickers, Lindt and Cafe d'Or in abundance. The prices were not bad. There were many kinds of local snacks and powerbars available, but they still do not import foreign power bars, energy gel, etcetera. 22) Telephone. We have a mobile phone in basecamp. The cost is around $1 - $2 per minute, depending on which country you are ringing andit’s free of cost to receive incoming calls and texts on the mobile phone.We plan to have access to mobile and satellite telephone during the walk too. Those wishing to use our sets are required to post a $100 deposit, prior to departure from Kathmandu. The cost for satellite phones is $4 per minute. Incoming calls are not possible. If your usage exceeds the deposit amount, you will be required to pay more cash in basecamp, or stop using the phone. Be sure to bring enough $, £, or €. While unable to receive satellite telephone calls, at times members can receive short satellite text/SMS for $4 a message from their friends and family. 24) Battery charging: laptop, ipod, mp3 player, and/or digital camera. On our climbs, we often bring a solar charging system on the expedition that members have access to. As long as there is sun, we are able to charge batteries easily on the mountain. If your device has a 12 volt "automotive cigarette charger" please bring it (order one on the internet before you go) as that will be the best thing for basecamp. In Kathmandu, be sure to bring your wall charger compatible to Kathmandu's 220 volt current (when its working). Also, we encourage you to bring your own smaller solar panel, as these seem to work very well. 25) Bring or buy warm mittens. Special warm high-altitude mittens are necessary for all of our climbs, for example: http://www.outdoorresearch.com/en/mens/gloves/mens-alti-mitts.html . Nowadays, we can find many warm mitten choices in Kathmandu. You won't need to wear any liner gloves inside these mitts (they already have their own integral liner) so fit is very important. This company ships around the world. Be sure to discuss the size of your hand and what size mitt you might need with the person at the shop. Cho Oyu: 3 bottle set: $2150 (30% buy-back policy applies). Mask + Hoses (guaranteed to be in perfect working order and match the bottles and regulator perfectly): $285 (30% buy-back policy applies).. Regulator for high-altitude oxygen bottle (guaranteed to be in perfect working order and match the bottle and mask and hoses perfectly): We have 30% buy-back policy on regulators in good condition. $485 (30% buy-back policy applies). One large Russian Oxygen 4 litre bottle for high-altitude climbing (guaranteed to be in perfect working order and match the regulator and mask and hoses perfectly): $510 (30% buy-back policy applies).